Trust’s community of beneficiaries. Each bid is R100 000 Bidders per lot are unlimited and multiple bids are encouraged. Support a cause that’s close to your heart! R100 000 provides four classrooms from Grades R to 3 with Library Corners, including reading books, floor cushions, mats, easels for big books, posters and teacher packs, and individual fully-illustrated dictionaries for each child. 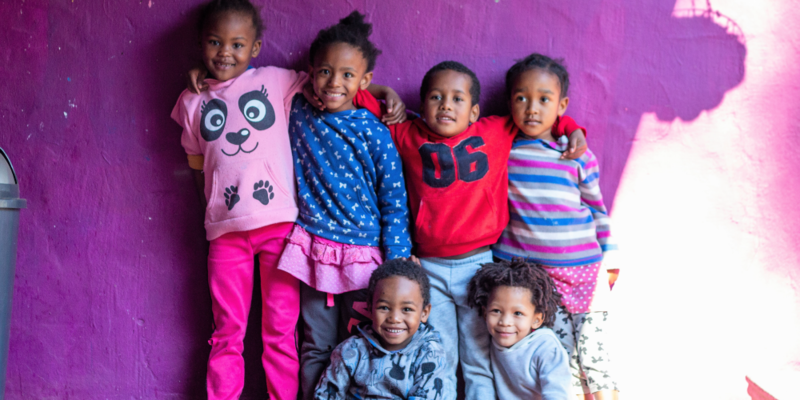 R100 000 trains 42 Early Childhood Development (ECD) practitioners and provides them with the necessary resources to run quality ECD programmes. R100 000 provides 100 children with the uniform essentials they need to attend school in comfort and with dignity and a sense of pride. R100 000 funds a pre-school centre for 50 children for a year. This includes the provision of educational resources, stationery and furniture. R100 000 upgrades two primary school playgrounds, giving hundreds of children a safe, colourful and inspiring space to play outdoors. This Lot is purely the gift of giving.